​Is the economy imploding or not? Economic elites seemed genuinely alarmed this past week when the latest Stats Canada jobs report came out showing just 200 new jobs were created in Canada in the last month. Decidedly less than the 20,000 new jobs that were expected by economists, the dismal reading sent shockwaves through markets, economic elites seemed shocked. Suddenly the economy seemed to be stalling out when it was supposed to be recovering. This wasn't supposed to be happening. The loonie began selling off. The economy was, apparently crashing. Another shockwave rippled through markets when Stats Canada announced this past week that it had identified a human error in its July employment numbers and admitted the organization made a mistake. The agency said it will re-release its report this Friday. Many are hoping the mistake is in the job numbers. Let’s hope the numbers are better than what was reported. 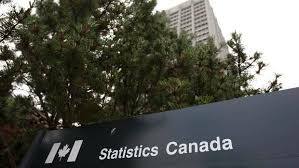 Sure, Statistics Canada will be embarrased. But at least there will be some suggestion that the Canadian economy is not imploding. Which would, no doubt, help quell the annoyance among currency traders who have lost money on the data mix-up. Since the announcement of the mistake the loonie has recovered ground lost and seems to be steady, awaiting the re-relase. The NDP was quick to jump into the fray, blaming the Conservatives' cuts to Statistics Canada for the error. “We’ve already seen many surveys scrapped and data quality diminished with serious impacts on the ability of government to deliver services across the board,” Peggy Nash was quoted as saying. Whatever the case, let's hope that when the revised data is released we don’t find out that even fewer jobs were created. That would be one shock we really don't want to suffer.